When trying to compete in business, one must be at the cutting edge of all the latest technology. Any time someone falters and decides to cut corners to save money, they in turn could lose customers and revenue. One example of this is not keeping up with the latest technology, especially if you are in an office setting where sales depend on how fast you interact with clients. 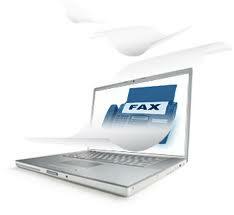 For instance, a fax can now be sent online and no longer do you have to be hard lined and dependent on a phone line. There are many fax services out there that rely on email format and you don’t need that second phone line. There are many differences between a regular fax and a internet fax system. There are multiple online-fax providers who offer this service but some stick out from the rest. Make sure to do the research and choose one based on your needs. You may need a plan just based on a small amount of faxes because your company isn’t that big. You may need to have an unlimited plan with multiple users because the fax would be used all the time. Make sure that you know the overage limits as well so if you go over your page limit per day or per month. Sometimes it’s around 6 cents a page. It’s added to the bill but it might add up. While you’re saving on costs make sure you always have a backup. You don’t want to completely go digital if you’re unsure about it. It’s best to take baby steps. You also want to ensure that if you transition to Internet fax, you receive 24/7 support from the company that you decide to go with. It is so irritating having no help when you really need it. So it really depends where your loyalties lie. Do you want to stay with the old technology that hasn’t failed us, or try something new that is the wave of the future? Someday everyone is going to have to invest in something they don’t want to and it will ultimately make their lives much easier. Let me give you a real world unrelated example. When I first got my android phone I thought internet and satellite radio was useless. That is until I came across Pandora. Now, I can’t leave home without it. I would rather use my phone like it’s an mp3 and listen to Pandora than use my mp3. Stop acting like internet fax is like green eggs and ham and take the risk. You find use for it every day. Trust me change is good! Adam Fox is a small business technology and productivity blogger. He writes for companies such as Nextiva and other business service providers. He enjoys seeing small businesses implement new technologies that save costs and improve productivity.